The Stratocaster gets all the fame and glory, but when it comes down to it, the only Fender guitar that possesses finesse and power is the Telecaster (and its hollowed-out cousin, the Thinline). 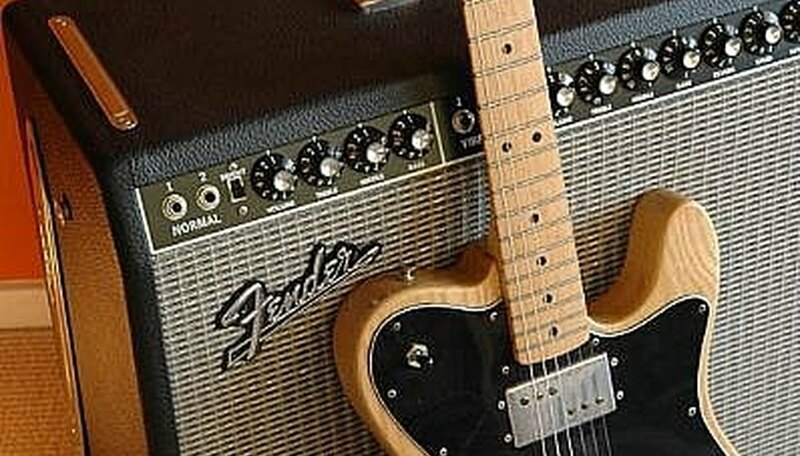 The Tele and Thinline are best known for their crisp, jangly tone, but to maintain that sound, their strings should be replaced at least once a month--busted or not. Yeah, you could play on the same old, oxidized, rusty strings until they snap apart, but you're never going to capture the pitch or timbre the Tele body is designed for. Quickly and carefully twist the tuning pegs down and release the tension on every string, from the thickest to the thinnest. The Fender is a precision instrument, if you give its neck too much tension on one side or the other, the stress could compromise its balance. Since you have the strings off, give the fretboard a quick cleaning with a cloth rag and get in there with Q-tips. Starting with the thickest gauge, thread the string into the appropriate ferrule located at the back of the guitar's body. The string will pop out on the other side of the bridge. Take the string, pull it tight and measure about two inches beyond the tuning peg this particular string will be used for (for slack so you can wind it around the peg), and bend the string at a sharp angle. Run the bent string through the peg and bend it again where it enters when pulled tight. Your bends should make a Z shape so the string runs straight up, bends across at 90 degrees and through the post, then bends back up again. Hold the string tightly at the first bend and wind the turning key counterclockwise (other guitars are different, but assuming you're dealing with a right-handed Fender, it's counterclockwise. It's clockwise for lefties). Repeat with the five other strings. Once every string is aligned from the bridge to the notch in the nut, you're ready to tune up and play. Every couple of years, you'll want to condition your fretboard to prevent cracking. You can find fretboard oil at any guitar shop. Give each string a few firm tugs to stretch them. This will help them stay in tune when you properly tune your guitar. If one string snaps, don't just replace that one--replace them all. A new string and an old one will have vast tonal differences. If the guitar is old, be gentle--some of the older fretboards can be brittle and split or crack. Handle these cases with extreme care.